Hey gang. Given that I have posted almost everyday this week, you might have guess that I’m one holidays from work (with only tonight and tomorrow left). While I used this time to catch up on all the convention reveals from last year (only Thanos and Hydra left), I thought I give my brain a break from research and decided to do an Ideal wave. I haven’t done one of these for a while, since October! I decided to do Ant-man and Wasp since there is a new rumor that the Ant-man and Wasp wave is instead going to be combine with one of the Avengers: Infinity War wave. Now before you moan, it should be noted that the movie is out shortly after the Avengers, so it would make sense that they combine them to save up on money. While I will enjoy getting the movie Ant-man and Wasp, I was wishing that we would have had multiple waves of AMAW with one being full comic and the other being half and half but the chances of that happening is low. So I thought I make what I would consider, the Ideal Wave for Ant-man and the Wasp. One of the 2 stars of this wave we have Ant-man. While it would be nice to get the Classic Version I think we should be getting a more modern version. Yes, the classic is need of a update but I think that one is almost guaranteed. I also think think that the Astonishing would give us a distinct version of Scott Lang rather then one that was worn but all 3 major Ant-men. This could use the Spider-man 2099 mold with some new parts as well as a repainted ant and mini-figure. Next we have the other star of the movie, the Wasp. Well a Wasp. 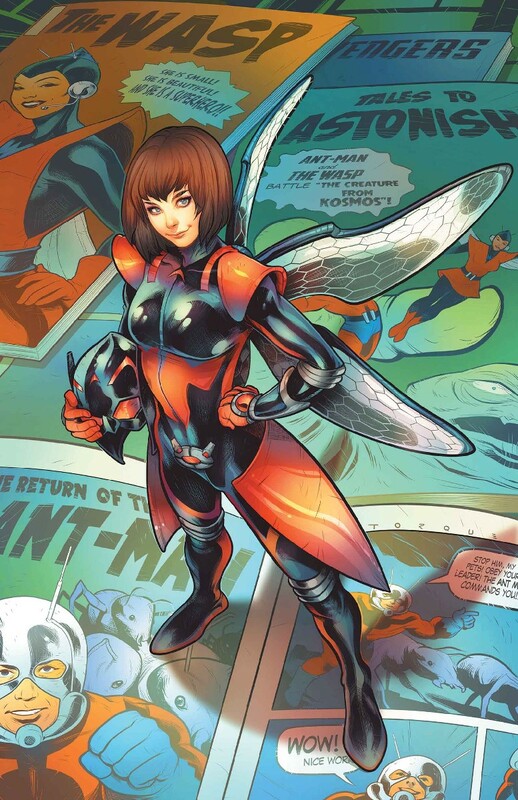 You see the only I think should be done in this wave is Nadia Van Pym, aka Hank Pym’s daughter from his first wife who gave birth to her when she was captured by the Russians and raised to be Russia version of the Wasp. She escaped and sought her father, who was died at the time. She would eventually join the Avengers. Now why this and not Janet? Well 1. She is a new character and 2. She is basically the comic book equivalent of Hope Pym from the movie. Nadia is even Russian for Hope. Given that we have gotten a few winged females, they should use the teenage body with a modded winged torso. No. Not that one. The first Yellowjacket. 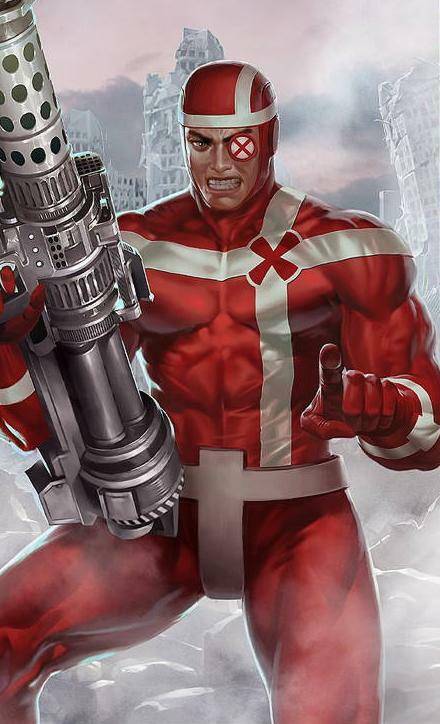 Hank Pym gone crazy……………for the first time. Now we did get a version of this around the start of Hasbro’s run of Marvel Legends but that was the start of the Dark days of Marvel Legends. Now why another Hank Pym? Well the first Ant-man wave had him in it so why not have him in this wave as well? and Why Yellowjacket? Well the first figure was bad and needs an update. Also It is one of the most important time for Hank Pym, whether he likes it or not as it show that Hank is not the most stable character. Since the last 2 figure used the Bucky Cap mold then it stand to reason that this one should too with a new upper torso as well as blasting effects. Next up we have second Female character and Ultron’s bride, Jocasta. Another robot created by Ultron with Janet’s brain pattern, Jocasta rebelled against him and stayed at the Avengers mansion for a while where is was given provisional membership. I think getting a figure of this character will bring us closer to the Pym Family completion. This could use a heavily remolded Angela build and should come with the gun shown. 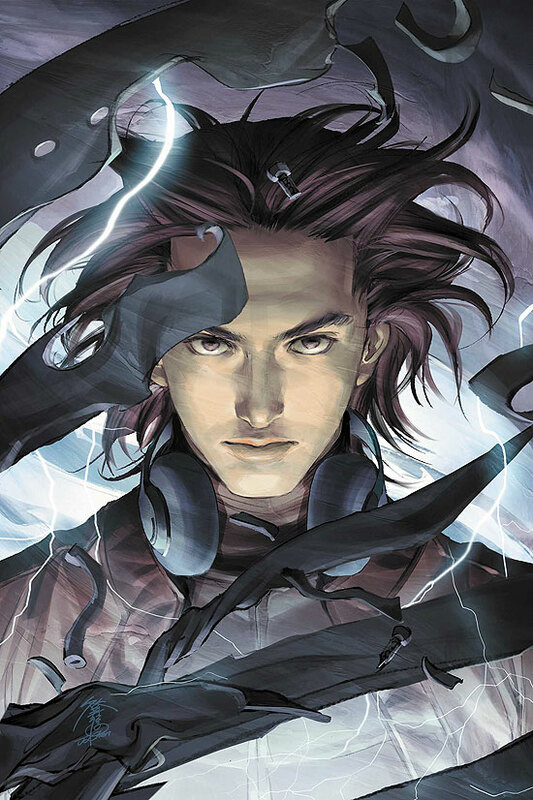 The bio-technology son of Ultron, Victor Mancha was raised to believed he was human, until the Runaway came to capture him believing he would become a treat to the world. He learnt we was the son of Ultron (not really sure how) and joined the Runaways rather then obeying his father. Geez Ultron can’t keep his family together. Not only would this give us another member of Pym’s family (being his grandson) but it will also give us the long awaited second member of the Runaways. He could actually use the Homemade Spider-man suit as a base with interchangeable parts showing his robotic parts. For the only villain of this wave (unless you count Yellowjacket and Jocasta as villains) we have the cousin of Darren Cross. (You know the guys from the first movie and in the comic was Scott Lang’s first villain). William Cross was a former CIA agent and expert marksman (hence the name), Crossfire is a small time villain but since he is Darren Cross’s cousin so it would be nice to have him done in figure form. He could use the Spider-UK build with a number of guns including a sniper rifle. The BAF for this wave is Stature. Yes I know that there is a rumored 2-pack coming out with Scott Lang and Cassie, however given that it was leak as Scott Lang and Cassie Lang, I kind of think it will be more the Stinger persona rather then this version. So why this version anyway? Because she is the last member of the original Young Avengers and has been asked for since the Toybiz days. We thought we might have gotten her in the last Ant-man wave as she was in that movie as well (granted as a child but still in it). This will obviously be a new sculpt perhaps the same size the MCU Giant -man wave. Well that’s my ideal wave for an Ant-man and Wasp wave. I know it mightn’t happen but come on. These things are frigging fun. I wanted to include other characters like the new Darren Cross comic Yellowjacket, Classic Vision, Rita Demira’s Yellowjacket or even a comic book accurate Ultron BAF so it was really hard to create this list. How would you guys plan your Ant-man and Wasp wave? Let me know below or on any of the social links.